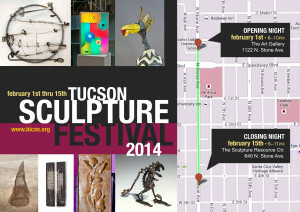 Thanks to everyone that participated in the 2014 Sculpture Festival! 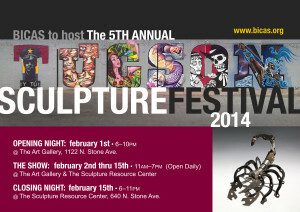 Tucson has so many great artists and volunteers that made it happen. BICAS thanks you all for your support! Sign up for our listserv to find out about more upcoming events. BICAS hosted the 5th Annual Tucson Sculpture Festival 2014!